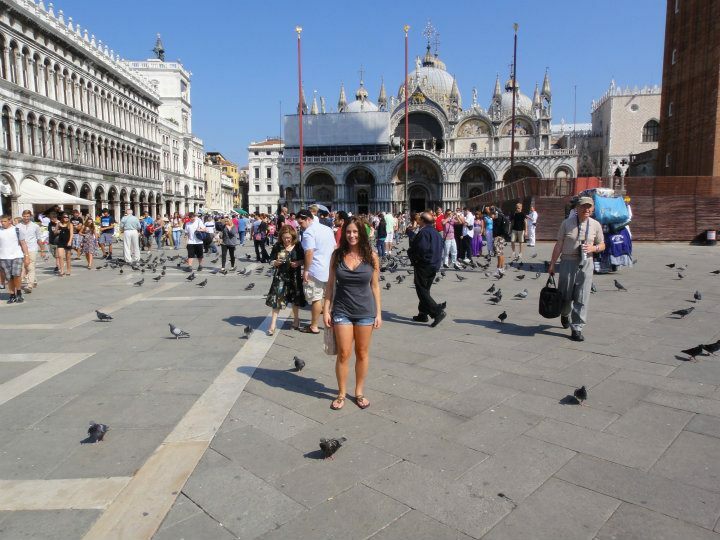 Venezia: How the HELL do I get out of this evil place?!?!? 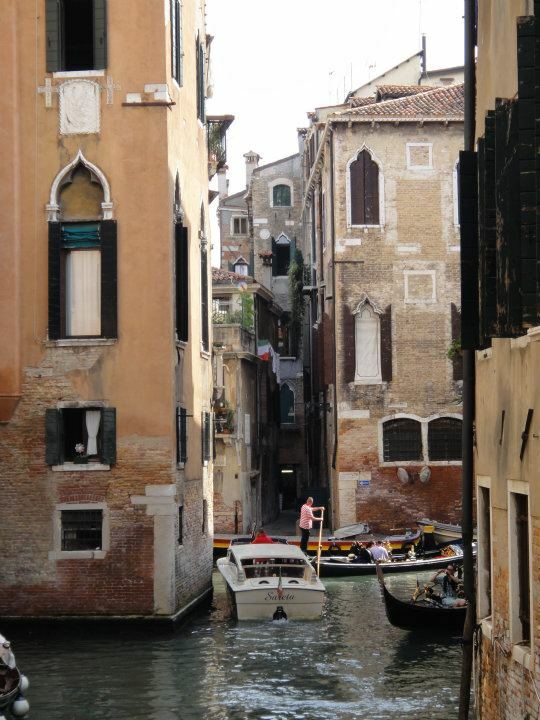 When returning to a city I’ve previously visited, I generally feel comfortable with my navigational skills; the labyrinths of Venice don’t make that comfort list. But how can something so beautiful be so evil?!? 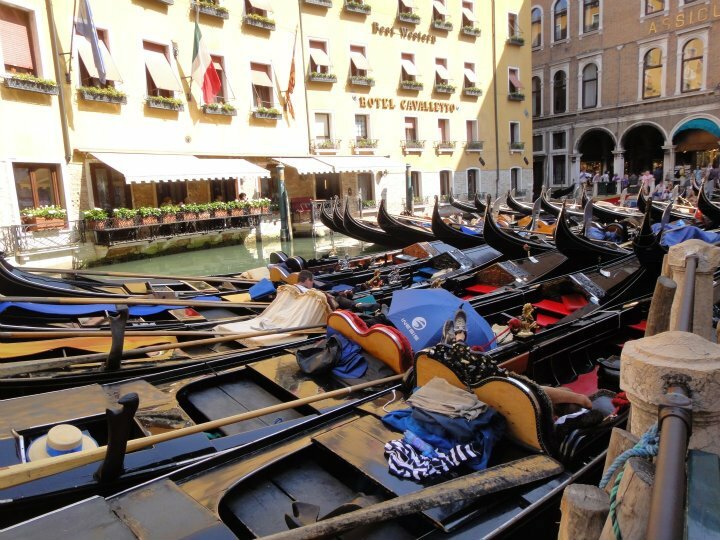 Aside from the never-ending canals, bridges and dead-end paths, the sinking city is packed with more tourists than knockoff Italian leather shops and pasta-filled restaurants combined. Add that to the humidity factor plus a plethora of flesh-eating mosquitos, and you’ve got a recipe for a disastrous time trying to get out of the place. 1.) 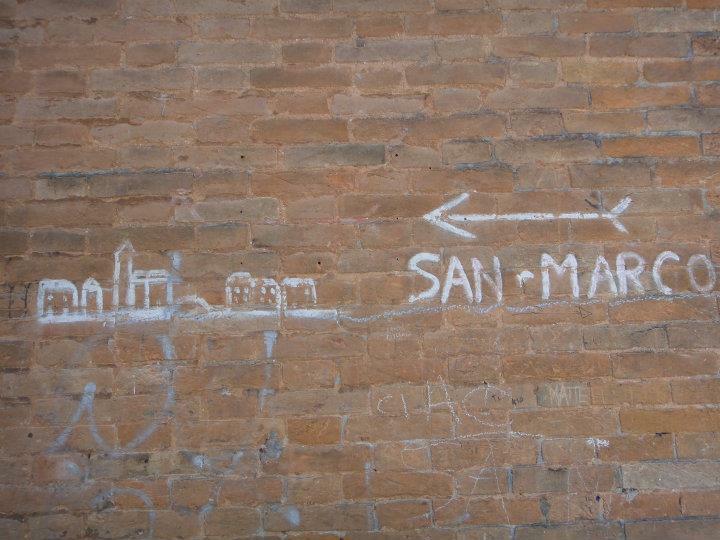 After getting lost, repeatedly, over the course of 3-4 days, you WILL begin to think you’ve figured the city out. 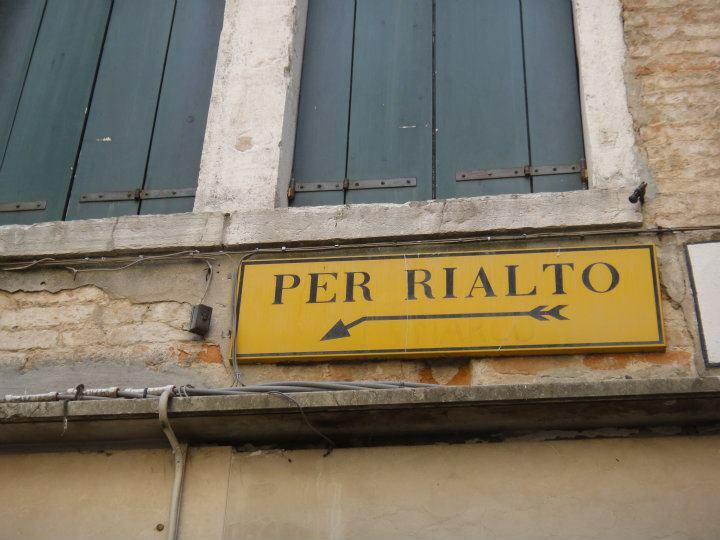 You will feel confident in finding your place from Rialto to San Marco. You might even try to find that great little restaurant you dined at two days ago. But chances are, you won’t find the restaurant and you sure as heck won’t find your way perfectly to the desired destination. 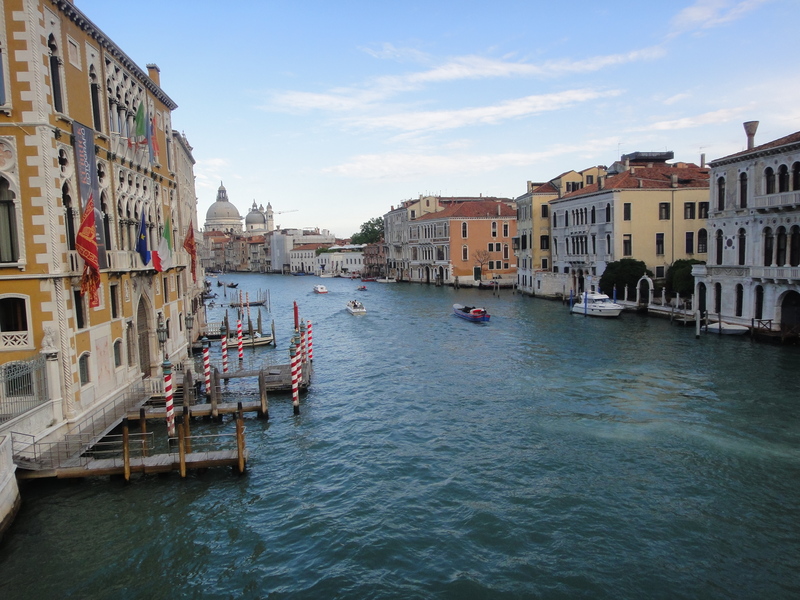 Basically, don’t try to see Venice under a time constraint. It’s just not going to happen. Which brings up one of life’s great, unanswered questions: How the heck do tourists who frolic off the cruise ships do it??….. 2.) You will feel so confident (before you realize you’re just another lost tourist. Yes, everyone can tell by the look of frustration on your face.) that you will offer to give directional insight to another group of lost tourists, only to realize after you pointed the frantically time-constrained group into the absolute wrong direction. You finish eating your gelato feeling guilty that they will now end up missing the bus they so desperately needed to catch and also quite possibly their flight back to Tokyo. In Laymen’s terms keep all directional opinions to a minimum when “aiding” others. 4.) You will be enticed to enter tourist traps. Walking down the twisting paths lined with canals, restaurant personnel fight for your business (as with numerous other European cities.) You will want to stuff your face with as much delicious pizza, seafood and pasta as you possibly can… well, if you’re anything like me that is. 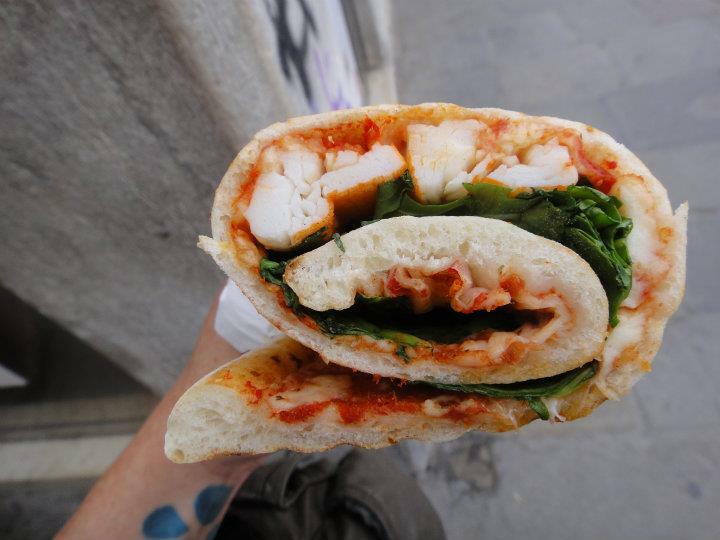 Instead of sitting down and spending a good chunk of your Euros, checkout the amazing, sumptuous and super cheap little grab-and-go pizza/sandwich stands. This baby was only €3!! Crab pizza stuffed with greens, conveniently rolled for ample multitasking of eating and picture-taking. 5.) Flying rats pigeons are everywhere. 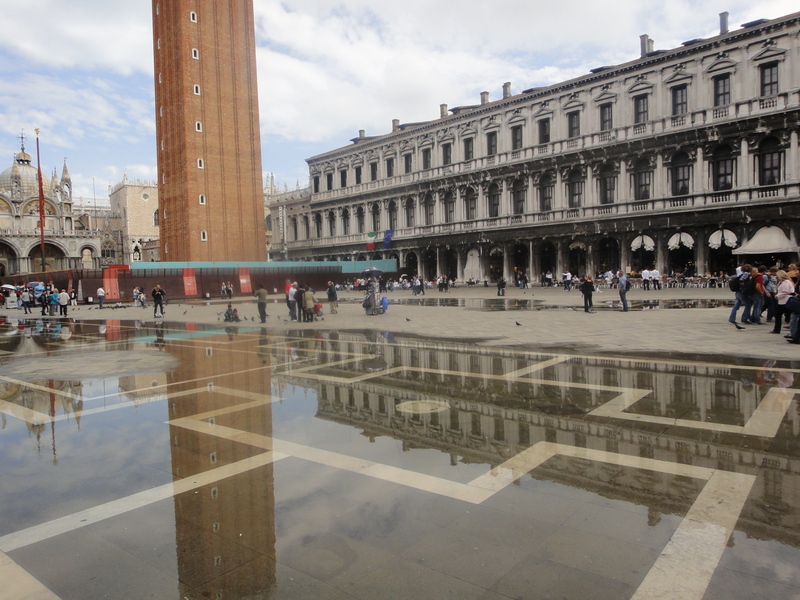 If you have a consuming fear of the diseased infested messengers from the underworld flying towards your face, then by all means do not set foot in Piazza San Marco. I know you’re going to go, and you should; the square is gorgeous and especially amazing to see when it floods. Raised walkways are constructed within minutes to avoid the water below and to this day, it was one of my favorite sites of Venezia. So instead of avoiding the square, prehaps grab an umbrella to shield the pigeon crap plummeting to the ground. And by all means refrain from feeding the damn things…. you can get fined for doing so! 6.) 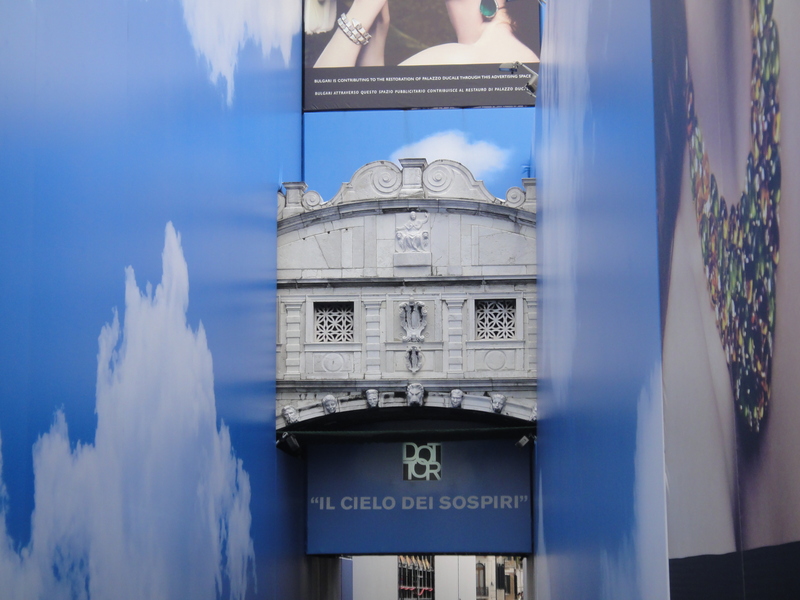 If you’re looking for the famous Bridge of Sighs, you might walk past it. It’s that little thing hiding behind the walls painted to look like clouds. Yeah…. that one! The one that 200 people are trying to snap a photo of while blocking the flow of traffic on the bridge you’re trying to cross so you can check out the gondolas below. You might try to get a picture, too and then…. Wow! Look at that! 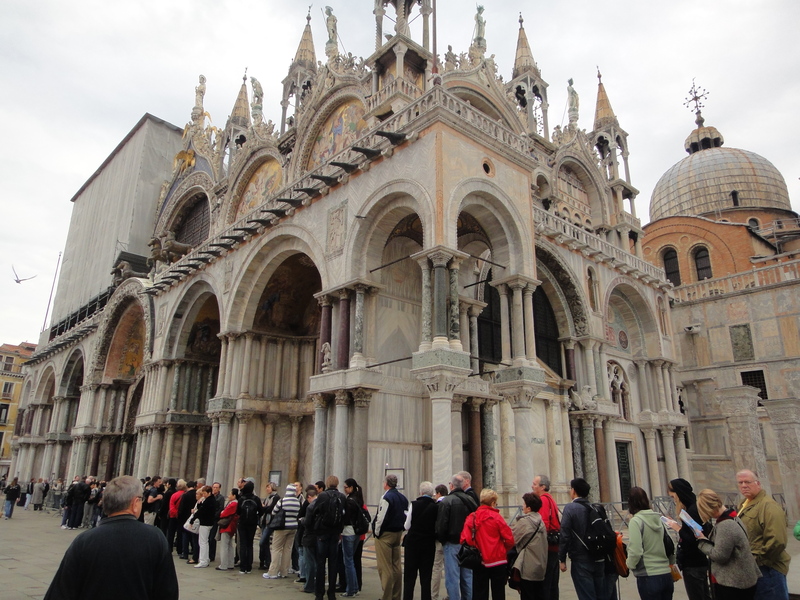 They’ve got street artists over there, and souvenirs and food and……..
6 Comments on Venezia: How the HELL do I get out of this evil place?!?!? jen, next time you have to go in the winter. no tourists, no humidity, no lines. its like heaven. I’ve been during summer and also at the end of October; the end of October was far worse than summer! Maybe it was just the time I went, I’m not sure, but it was ridiculous. I’ll give it another shot in the winter, though! I can’t imagine being a local; how many times a day do these people get stopped to ask where Rialto/San Marco is?! But I’m sure you and Josh found some all-you-can-eat steak buffet there to beat the heat, right?! So accurate! We were lost in Venice for hours in the horrific blistering heat, having spent all our money on ice-cream and chilled drinks. Those damn Rialto signs were nearly the death of me! I love your total honesty …. 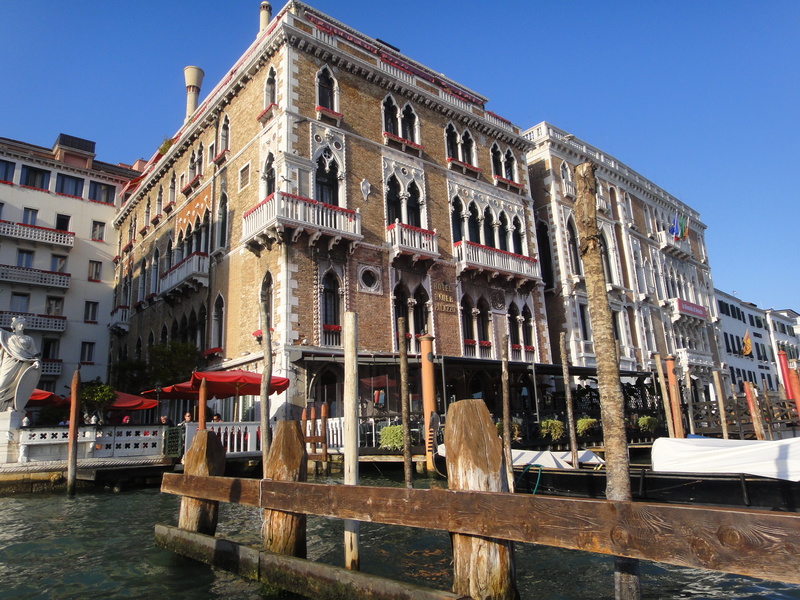 Will help for sure when planning a trip to Venice and your pictures are great! Thanks, Erick! Hope you can plan a trip pronto!